What to Use For a Hog Pen? How Much Space do Hogs Need? Can I Use Cattle Panels for Hogs? Anyone used a heater is barn? Voltage on electric fence too high? 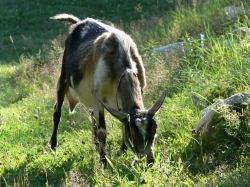 Escape proof Perimeter fencing for dairy goats? Electric top wire only on perimeter fence?